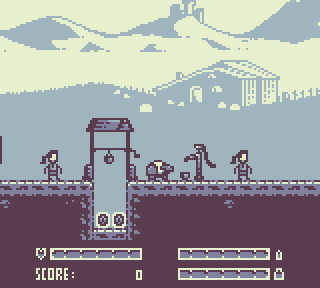 Reminds me of the game I submitted, only a lot more polished and with much better art. As others have said really solid game, just the controls are really tough. First time I got up to the wolf and immediately died, second time around I couldn't even get past the spike pit anymore. It's really weird that when you press left, you first walk left, then when you shoot you fly to the right, upon landing you start walking left again... made it really hard to climb that mountain. IMHO the sheep should shoot to the opposite direction it's moving, so one doesn't change direction abruptly upon landing... but on the other hand, maybe awkward controls are what you were going for. great game. very interesting mechanics. "Defeated by a gun, who would have thought?!" Hahahaha funny and beautifully drawn entry. I think the moving mechanic is clever, but somehow I think that maybe the "pistol" ammo could be unlimited? 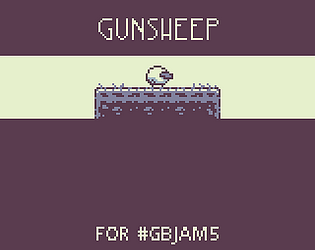 I'd love to see Gunsheep further developed. Ah! And you also might wanna check Slugcaster, as it shares some similarities with Gunsheep. Congrats! The art is really nice too! I liked it. Looks great and you get use to the controls after some times. The spikes part is too hard for my liking. I see controls are quite polemical. I also got a bit confused at the begining but I got used to them after playing a bit, actually they make sense but maybe need a tweak. 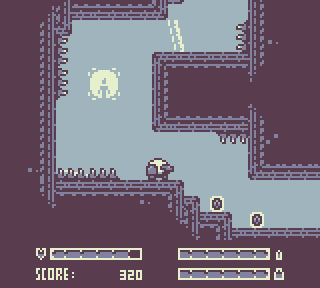 The spikes part should be a bit easier for a first level with this controls; it drains your life and leaves you with too few life for the fox. I could enjoy it despite that, and the art design is amazing. Good game overall. What a pitty! The graphics are really cool, the feeling of the game is really, really good, but the controls... they stopped me to play the game. It is really hard to master the controls. I think this title would be more enjoyable using an actual gamepad. I like the game mechanics, this is a uncommon game. The graphics are cool. Great job! Fun game, but the controls are killing me. 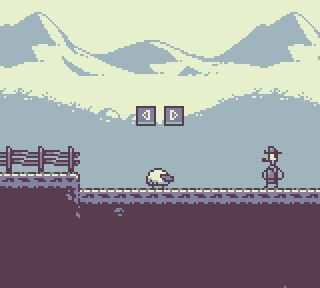 very nice little game, I had fun playing it!